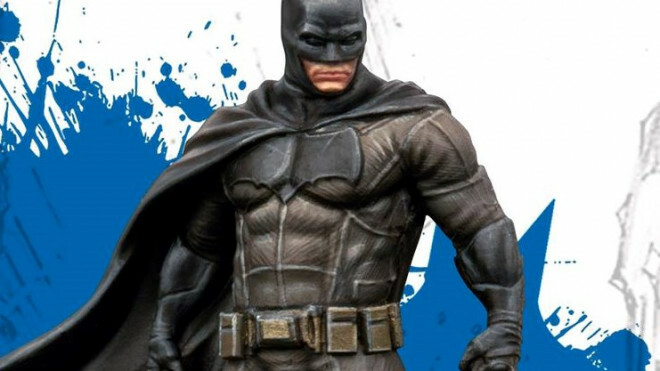 Knight Models have revealed a new Batman sculpt, one that really lives up to his name. 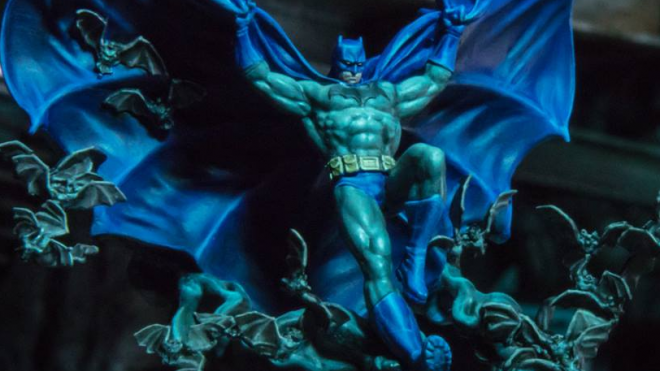 This year marks the Dark Knight's eightieth anniversary and Knight Models are celebrating with the announcement of new Bat-Boxes to get you into the Batman Miniatures Game. 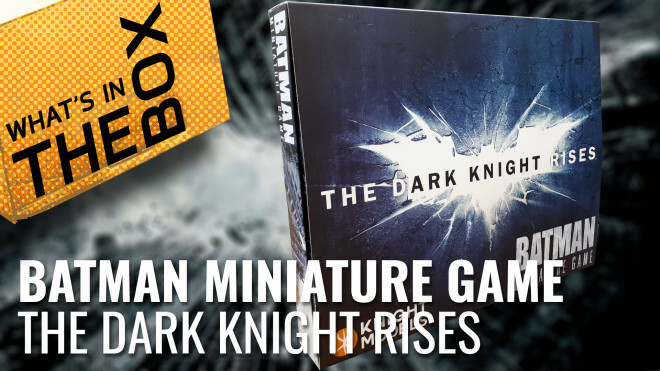 Knight Models has now released a tide of new releases for this month, giving you new options for both the Batman Miniatures Game and DC Universe Miniatures Game. 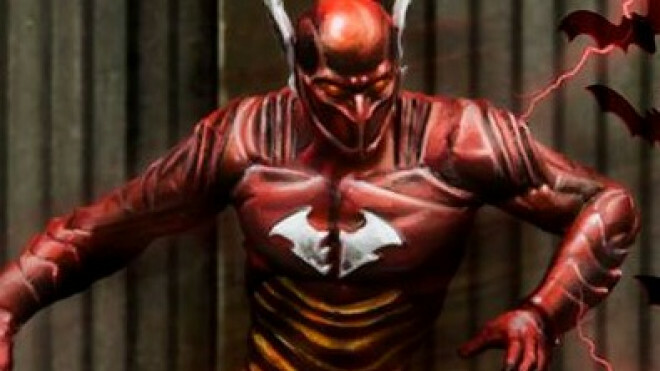 Knight Models continue their preview of the new Dark Night Metal range with Batman, The Red Death. 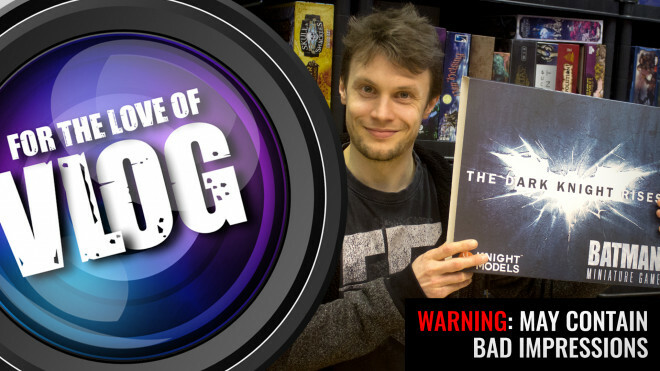 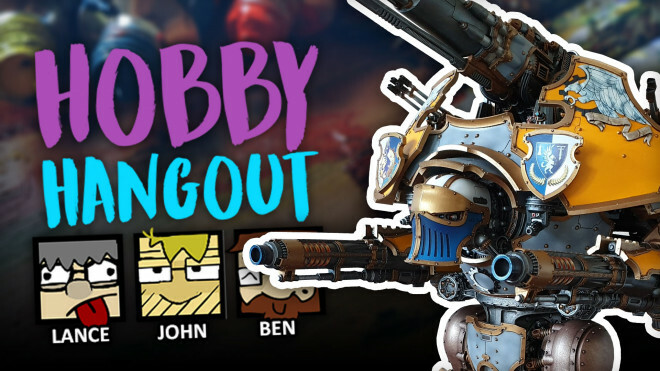 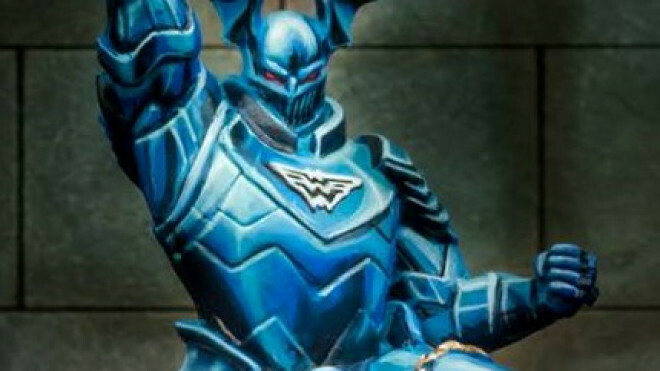 Last week we looked at Knight Models and their upcoming range of Dark Night Metal figures. 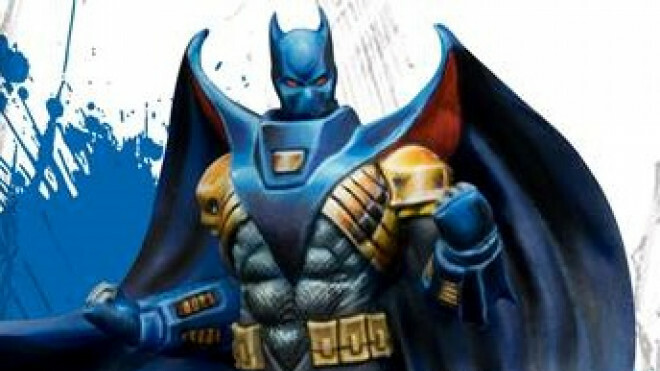 Well, they then showed off the first of these miniatures for the collection, Batman The The Merciless. 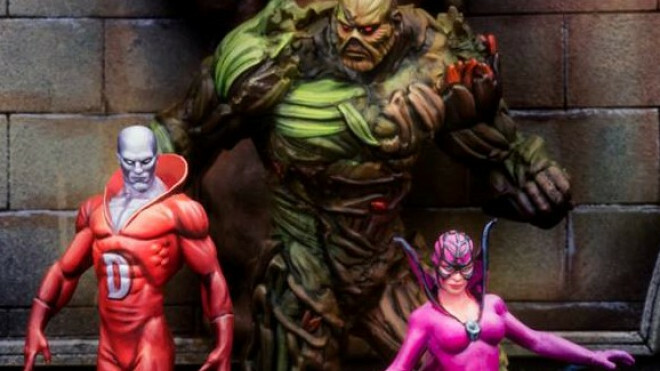 Knight Models are expanding on their DC collection with some more alternative models for you to consider. 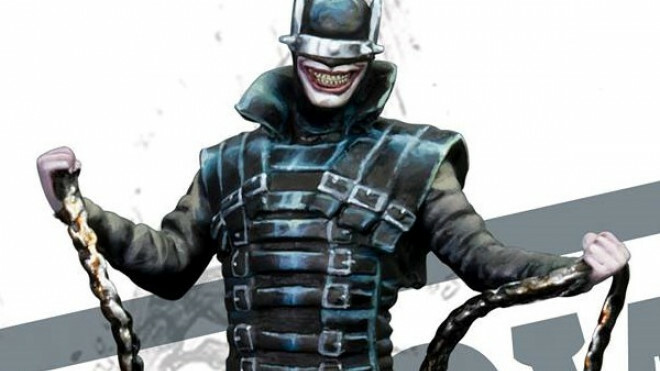 They are going to be looking at the Dark Nights Metal collection and these twisted takes on some famous heroes and villains. 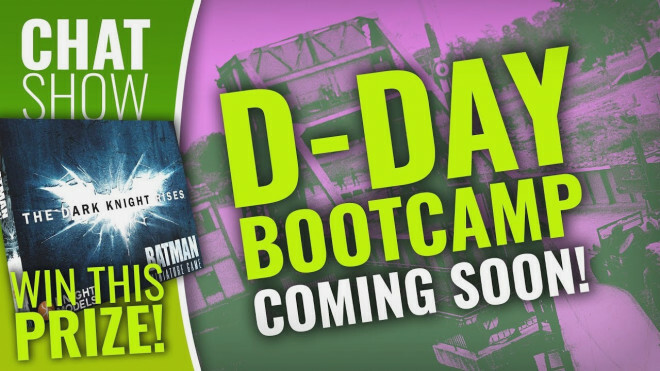 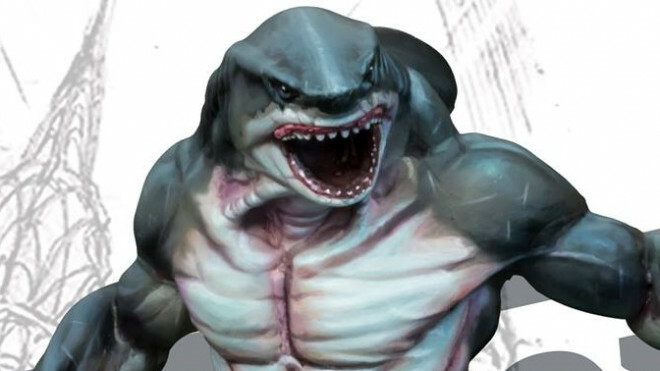 Knight Models has invited a whole bunch of new and re-vamped superheroes and villains to their collection for both the Batman and DC Universe Miniatures Game. 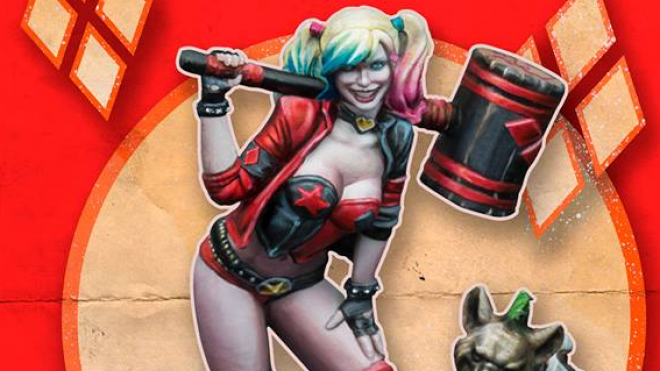 As previewed over on their Facebook Page recently, it looks like we're going to be seeing Justice League Dark models making their mark on the tabletop soon from Knight Models. 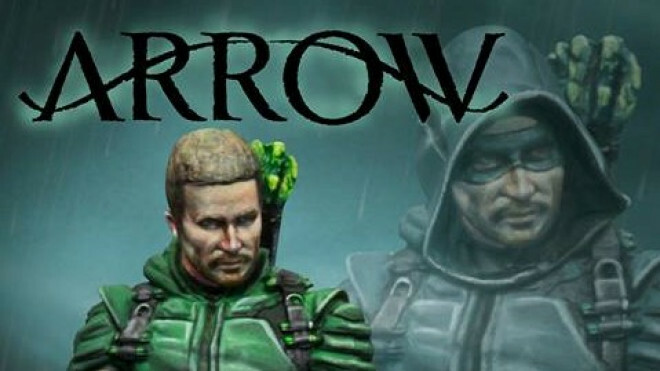 Knight Models showed off their take on Green Arrow and also his updated character card for the DC Universe Game. 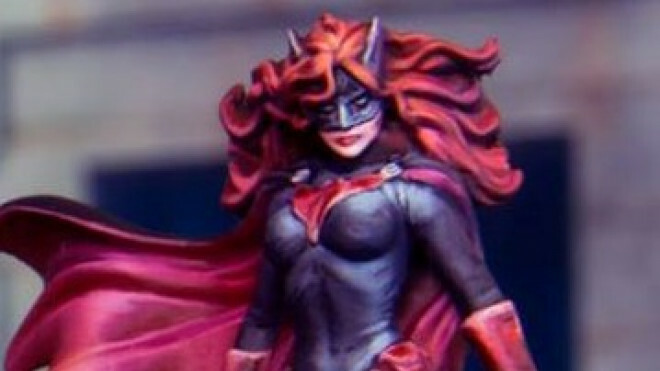 Knight Models have two of the DC universe' most popular women coming to the table, Harley Quinn and the Teen Titans Raven. 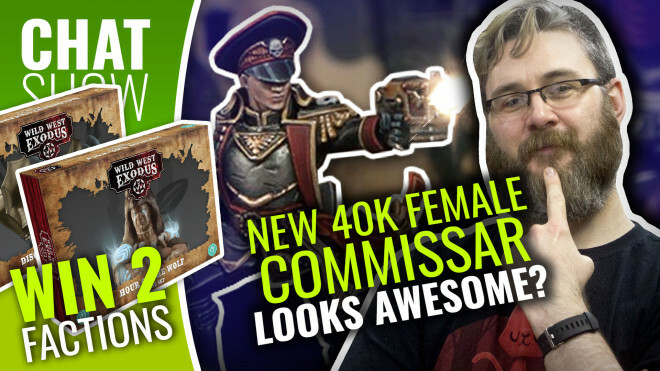 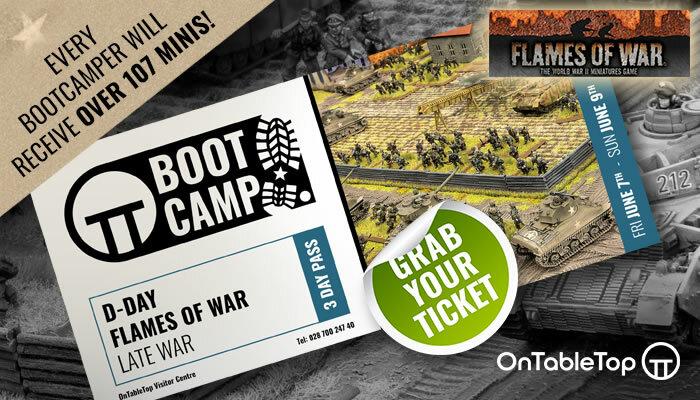 Deck the halls with new minis from Knight Models! 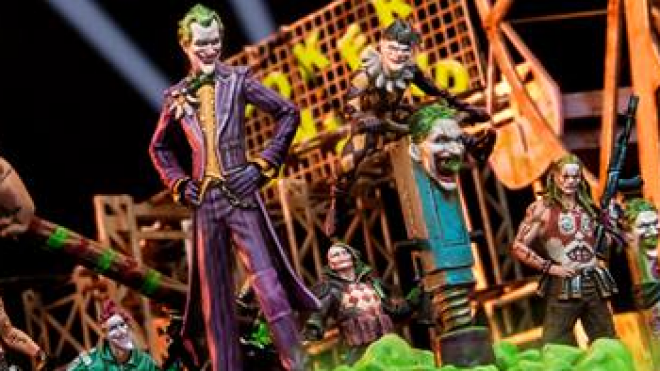 There's a ton of new minis available for the Batman Miniatures Game, the DC Miniatures Game and the Multiverse! 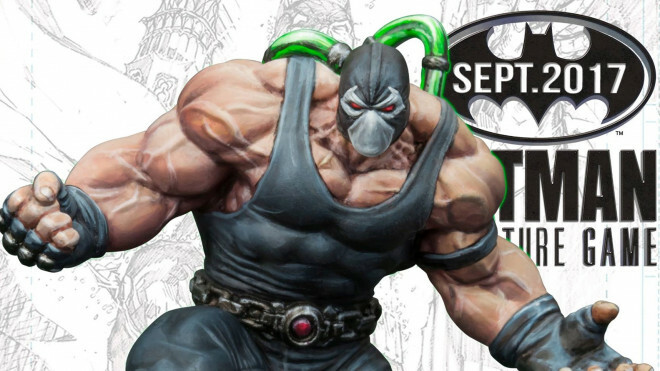 Knight Models have a whole bunch of new releases for the month of November, bringing alternative looks to Batman and more. 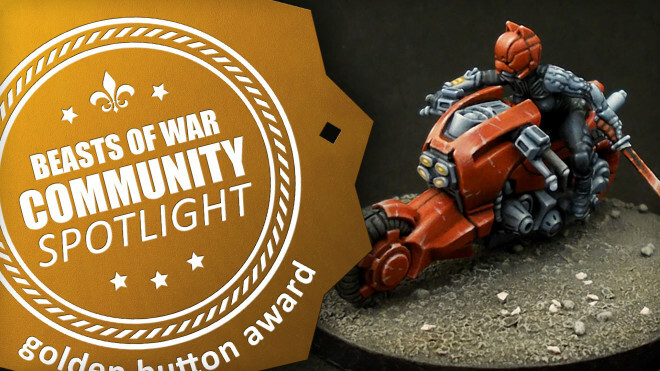 New models do Knight provide. 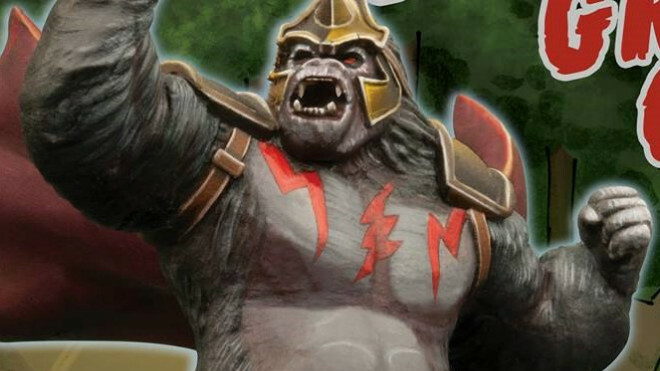 With their others they shall abide. 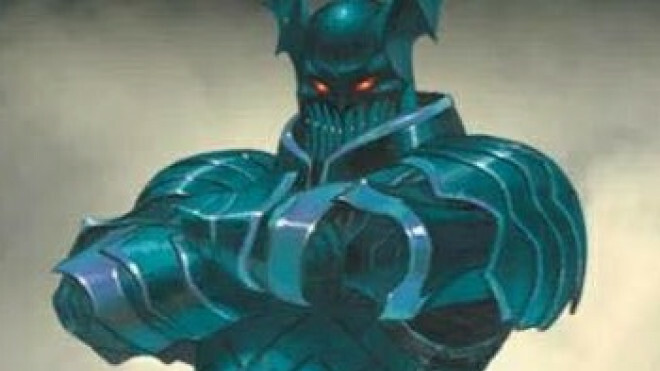 One is Jason, a knighted man. 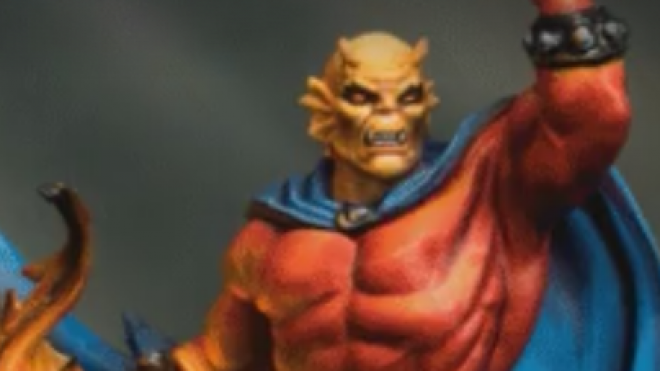 The other, the demon Etrigan. 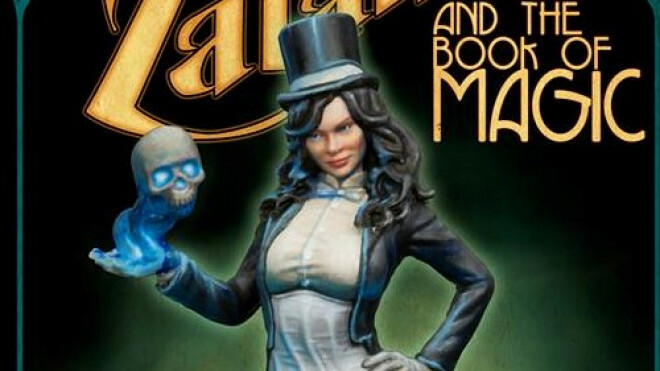 One of the DC universe's premiere spell castors has been turned into a model by Knight Models; the mirror speaking stage magician Zatanna. 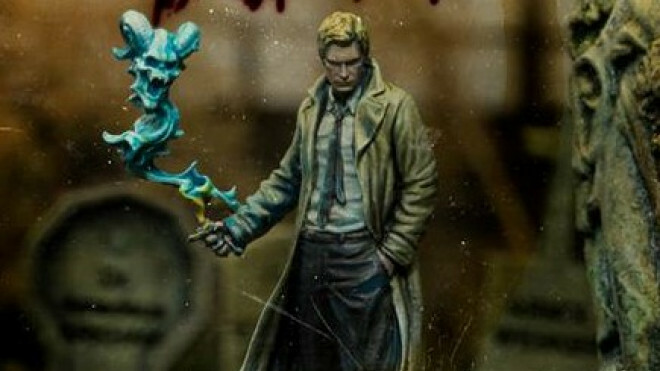 Knight Models have revealed the next "hero" model they will be releasing; none other than The World's Greatest Conman, The Laughing Magician, John Constantine. 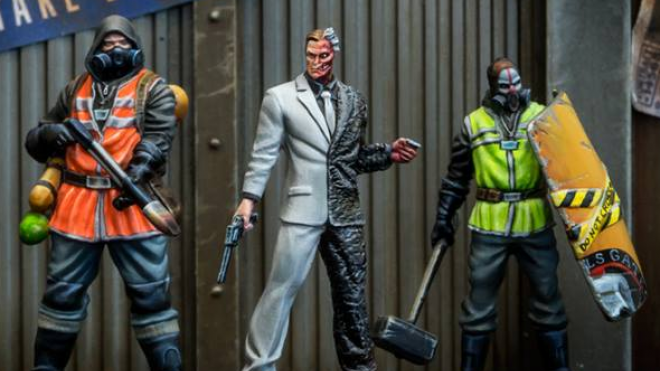 The next gang to be taking on the Caped Crusader has appeared at Knight Models; the demented duo of Two-Face and his crew. 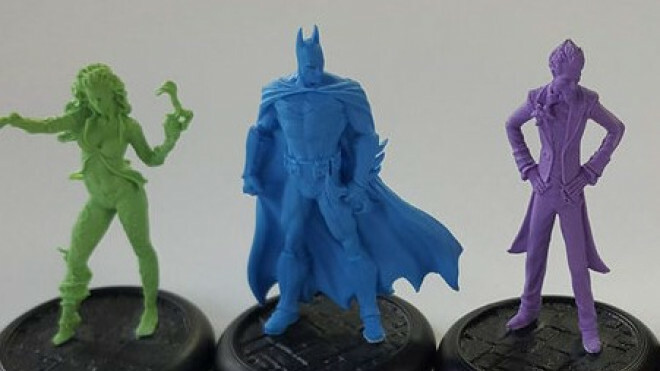 Over on their blog, Wayland Games have been able to check out the resin models for Knight Models' Batman Miniatures Game which is hitting its 2nd Edition. 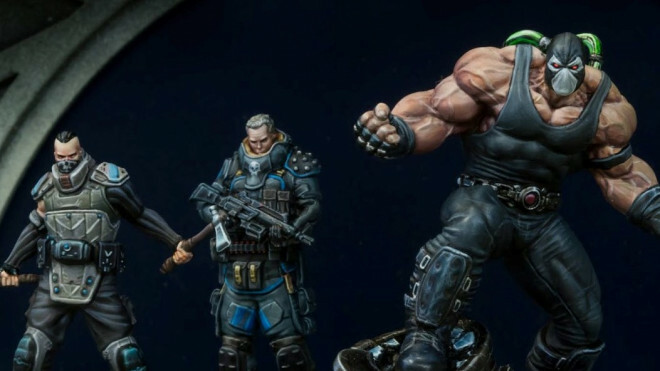 Appearing to break the back of the Caped Crusader and dominate the criminal underworld of Gotham we have Bane and his crew from Knight Models' Batman Miniatures Game. 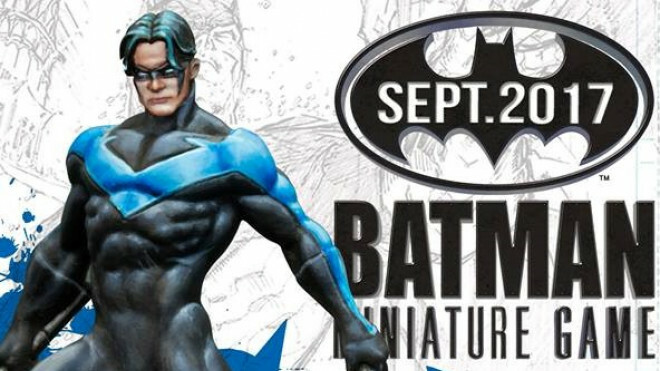 Building up more of the hype for the return of the Batman Miniatures Game with a 2nd Edition this month from Knight Models we have Nightwing! 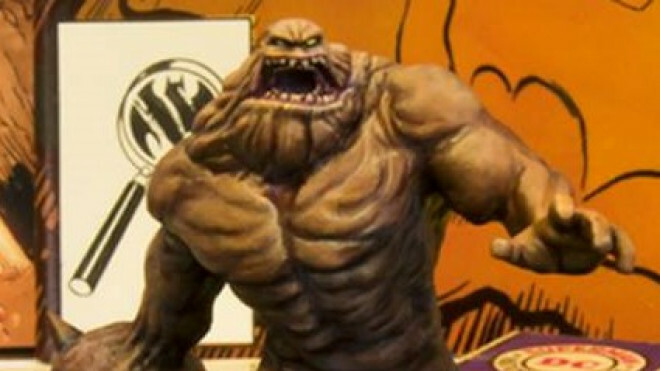 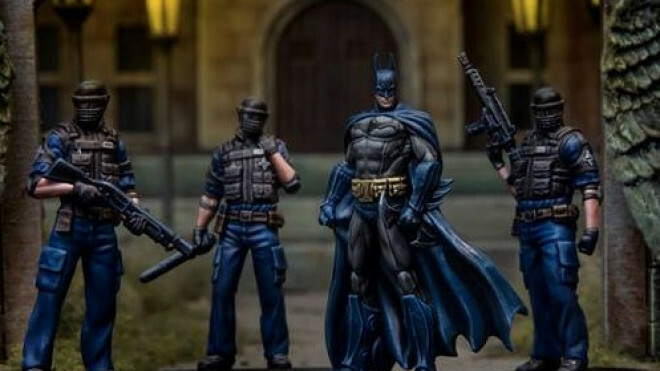 Knight Models have previewed the first of Batman's new allies, an Arkham Guard. 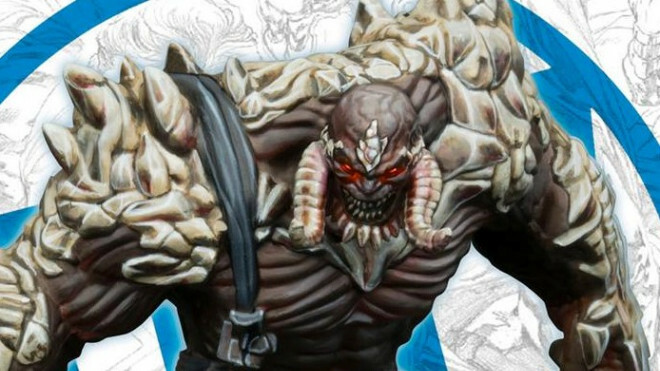 Knight Models have revealed the first hero crew for the upcoming edition of the Batman Miniatures Game; the Dark Knight himself along with some of Gotham's finest. 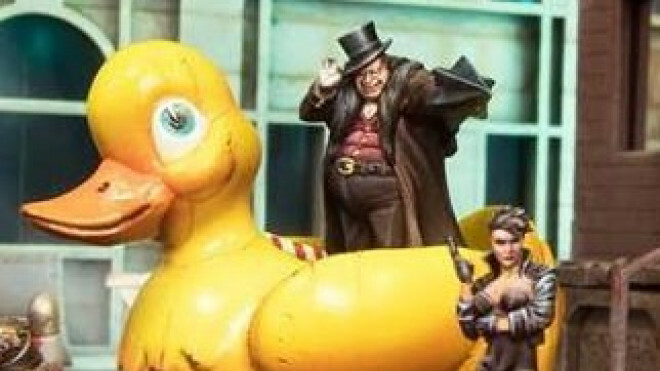 Knight Models have provided a closer look at the latest of Joker's new henchmen, a clown only known as White-Face. 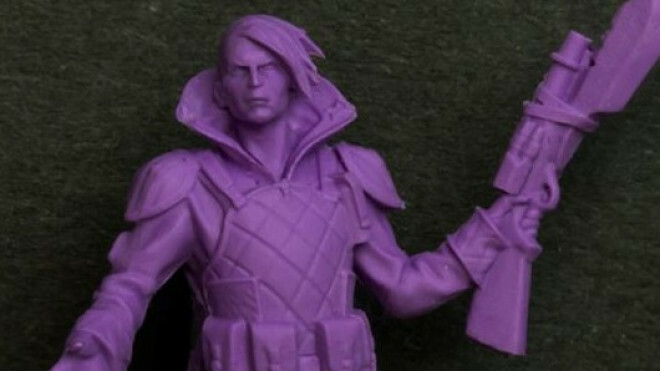 Knight Models are giving us a closer look at the new minis they are preparing for Joker's crew in Batman 2nd Ed, starting with the Clown Prince of Crime himself. 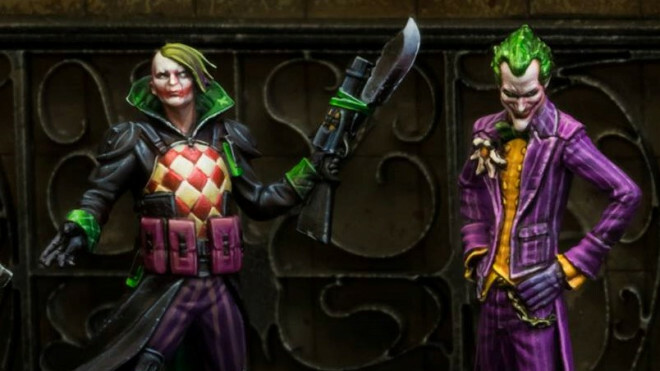 Joining Batman and cohorts with a new edition of the miniatures game of the same name coming in September 2017 we have this new look at The Joker and some of his cronies from Knight Models. 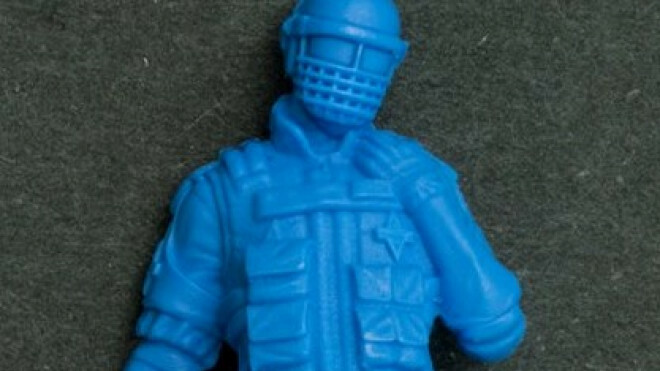 Knight Models Switching To Plastic For Batman Range? 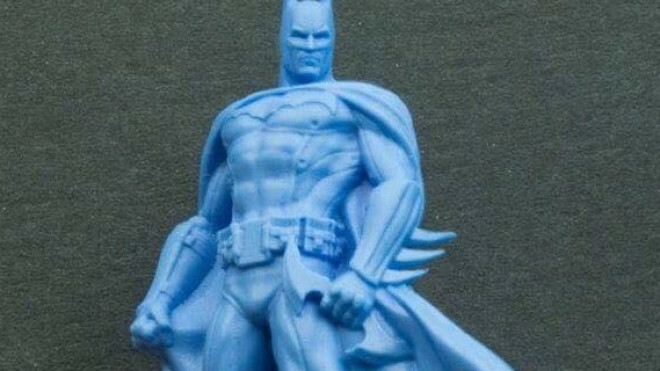 Word has come through from Tales Of A Tabletop Skirmisher that Knight Models might be switching over to Pre-Coloured Plastic/Restic/Resin for their DC & Batman range in the near future. 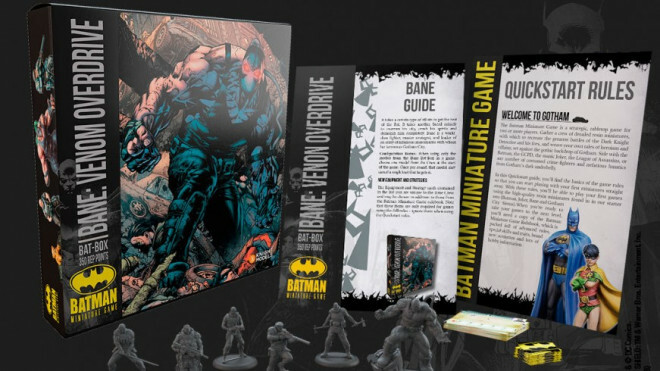 Knight Models has welcomed a new raft of releases to their webstore for the Batman Miniatures Game and the DC Universe Miniatures Game too. 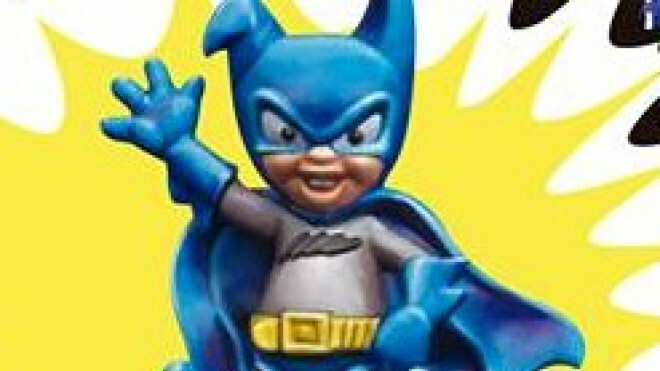 Knight Models have a new limited edition model they will be bringing with them to GenCon; the world's smallest Batman fan (other than me), Bat-Mite. 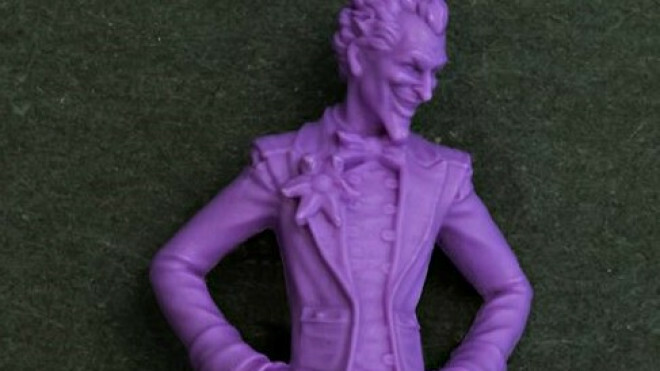 Knight Models has assembled a new preview of what's coming soon to the Batman Miniatures Game. 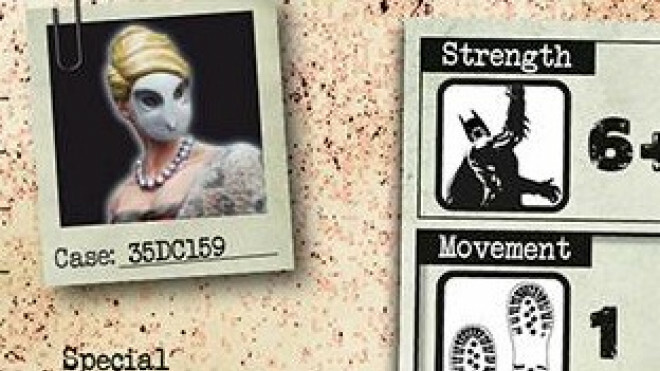 Here we have the Parliament Of Owls, each of them seeking to take Batman's head. 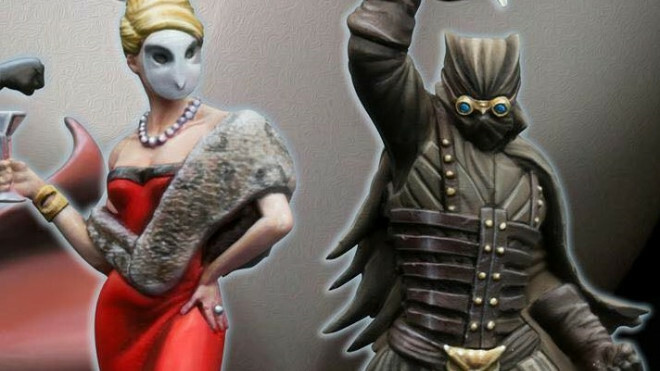 The first rules for the Court Of Owls has been previewed by Knight Models for their Batman Miniatures Game. 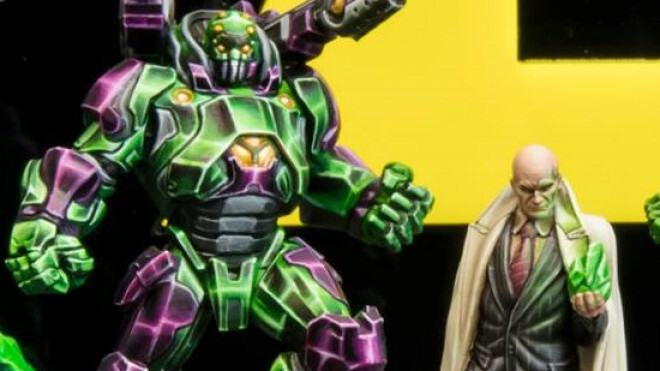 In another cool preview of what awaits for the world of the Batman Miniatures Game and the DC Universe Miniatures Game, it looks like Knight Models has called upon Lex Corp to get involved.